Ganesh Chaturthi is an Indian festival celebrated by Hindus across the globe. The festival that lasts for 10 days, is celebration in respect to the Elephant head God. 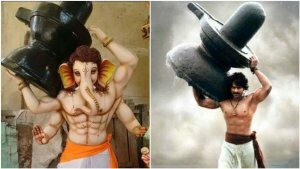 As part of the festival, Hindus install clay idols of Lord Ganesh at homes. On the tenth day of the festival, the idol is submerged in a river or lake admits music and vedic chants. Besides homes, large Ganesh idols are installed in stalls across various cities in the country. Some of them as tall as 59 feet. Over the years, the country has seen a variety of Ganesh idols—modelled after film characters, created from chocolate, pearls, and even diamonds. 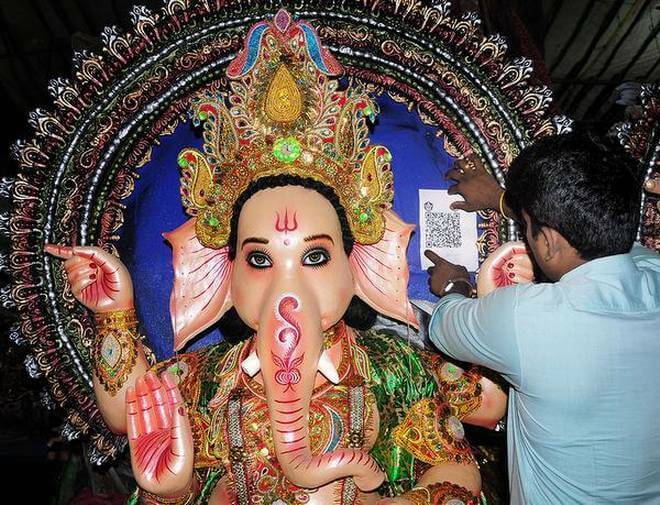 Though the festivities of Ganesh Chat haven’t changed over the years, this year saw a small addition to it—QR Codes. A number of Ganesh idols this year in Hyderabad, India bore a QR Code on the instructions of the local police to better monitor the festival. These QR Codes link to information on the idol’s stall and organizer’s contact details. Besides adding QR Codes, the idols are also bear geo-tags. Also, Tagging of the idols allows the authorities to know the number of idols installed across the city. The next time you visit a stall, don’t forget to check for the QR Code. Also check out how City administrations across the world are using QR Codes to help citizens. What are your views on adding QR Codes on Ganesh idols? Share your thoughts in the comments section below.